bah - transfer needed then! Sorry to fans of tight Championship races but no favour to Lankies over the next four days please. Spin to win! The scene is set for Lancashire's vital match against Somerset at Taunton. Not at all Dez, they'll just use their fielding drills. @StaggerBreaths - but wouldn't that make it difficult for him to get off at the other end? Who is Mr. Hotpants normally? I thought it might be a bit too keen to go on yesterday. I saw it though, Mr. Hopps, do not think I did not! Northants maintained their outside chance of promotion by beating Sussex last week, and they have a game in hand on the top two – although they remain 36 points behind second-placed Worcestershire. Glamorgan were frustrated by a rain-ravaged draw in Derby, with three of the four days washed out. Kent slipped to fifth in the last round of the matches, even though they salvaged a draw against Durham in Chester-le-Street after a backs-to-the-wall innings by Sam Billings generally regarded as one of his best in the Championship. Billings remains available for their last three matches after being overlooked by the England selectors, and promotion is still an outside chance. Gloucestershire won convincingly at Leicester last week, with Liam Norwell reaching 56 wickets for the season. Sussex are forced to make at least one change to the team beaten at Northampton last week, a big blow to their promotion hopes, with Chris Jordan joining England’s T20 squad. Guy Whittingham and George Garton are added to the squad. Derbyshire remain ninth after enduring a washout against Glamorgan. Steve Rhodes’s team will see the visit of rock-bottom Leicestershire as a chance to knock Nottinghamshire off the top of the table, in addition to maintaining their lead over the chasing pack in the promotion battle. The availability of Ravi Ashwin is a huge advantage, although Moeen Ali is with England. Leicestershire have only two games remaining to avoid the indignity of going through the season without a Championship win, which would revive grim memories of their infamous barren run which included two full seasons without a win in 2013 and 2014. 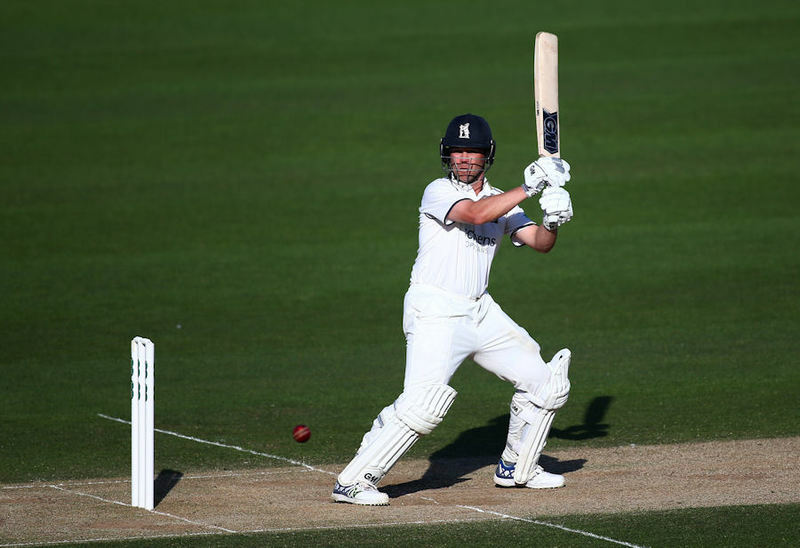 Can Jonathan Trott prove a road block to an Essex title? Essex could secure their first title since 1992 and Warwickshire could be condemned to relegation in this televised fixture. Ryan ten Doeschate returns to lead an Essex team including Tom Westley and Neil Wagner, after missing last week’s draw against Lancashire for personal reasons. Neil Wagner also returns for Essex for a second stint as overseas player after making such a positive impression in the early weeks of the season. A win would almost certainly seal the title if Lancashire fail to win at Somerset. Warwickshire are now 30 points adrift at the bottom after last week’s home defeat by Somerset, their seventh of the season, but will be boosted by the return from England duty of Chris Woakes. The 2016 champions head for Uxbridge having been dragged into relegation danger by Somerset’s win last week. Toby Roland-Jones has pulled out with a sore side after being made available by England for their remaining three matches, leaving Steven Finn, Tim Murtagh, James Harris and Tom Helm as a still-strong seam option. But Dawid Malan is still missing because of his inclusion in England’s T20 squad, and Nick Gubbins has still to recover from his hamstring injury. Hampshire, in third, are by no means safe themselves. They lose Liam Dawson to England, but Mason Crane returns, and England Lions batsman Tom Alsop is set to continue as wicketkeeper with Lewis McManus out for the season. Somerset are likely to name the same 11 who secured their second win of the season at Edgbaston last week. That would mean another chance for England Under-19s batsman George Bartlett, who made his debut against Warwickshire..
Director of cricket Matthew Maynard has confirmed that seamers Lewis Gregory and Jamie Overton will not play again this season – Somerset's survival bid is likely to be heavily reliant on the spin combination of Jack Leach and Dom Bess. Alex Davies will resume as Lancashire wicketkeeper because Jos Buttler is on one-day duty with England, after being handed a rare match with the gloves in last week’s rain-affected draw with Essex – which left them second, still 36 points behind the leaders. Fourth v fifth yet neither of these teams are clear of relegation danger. Surrey have drawn nine and lost one of the 10 matches since their only win of the season in the opening round of the season at home to Warwickshire. They have lost Tom Curran and Jason Roy to England’s white-ball squad – although Mark Stoneman stiffens the batting again after Test duty. Yorkshire are 10 points behind Surrey and only 13 points clear of seventh-placed Somerset, even though they have won three games, and Adil Rashid, Liam Plunkett and David Willey have joined Joe Root and Jonny Bairstow on international duty. Shaun Marsh will again open with Adam Lyth before he is replaced by Kraigg Brathwaite as overseas player for their last two fixtures, against Middlesex and Essex.